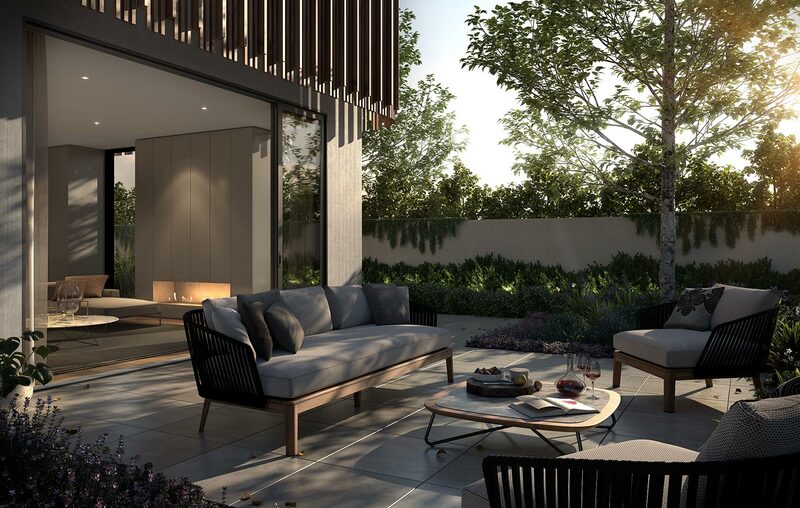 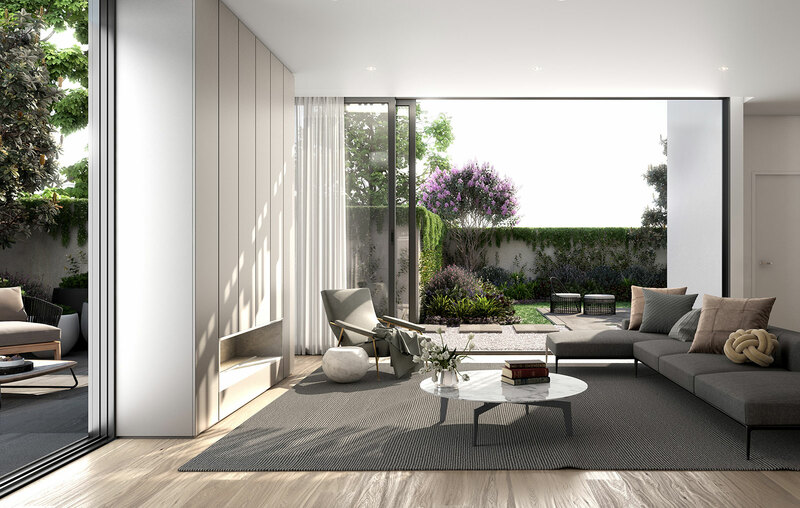 Positioned in the tree-lined Walpole Street in the heart of Kew, Elision features 14 luxury townhouses offering a strong contemporary, yet elegant design. 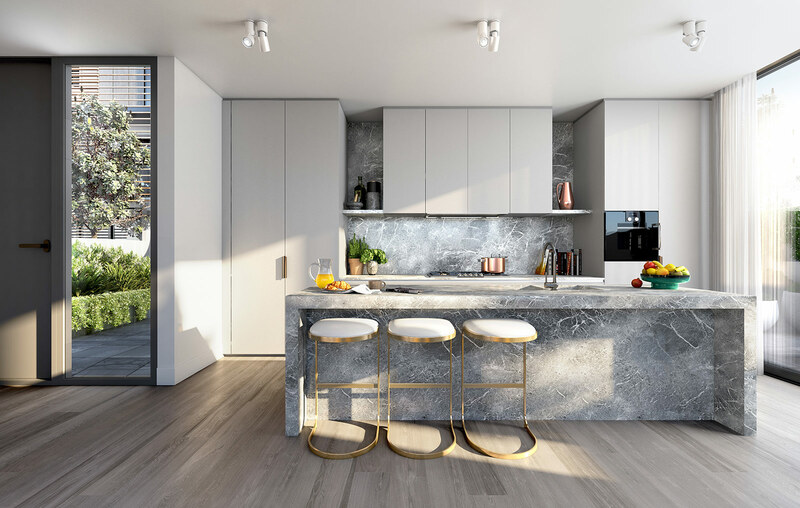 Featuring internal spaces designed by CHT Interiors, the development utilises high ceilings and large room, along with natural tones and materials and well as access to natural light to provide a sense of openness and luxury. 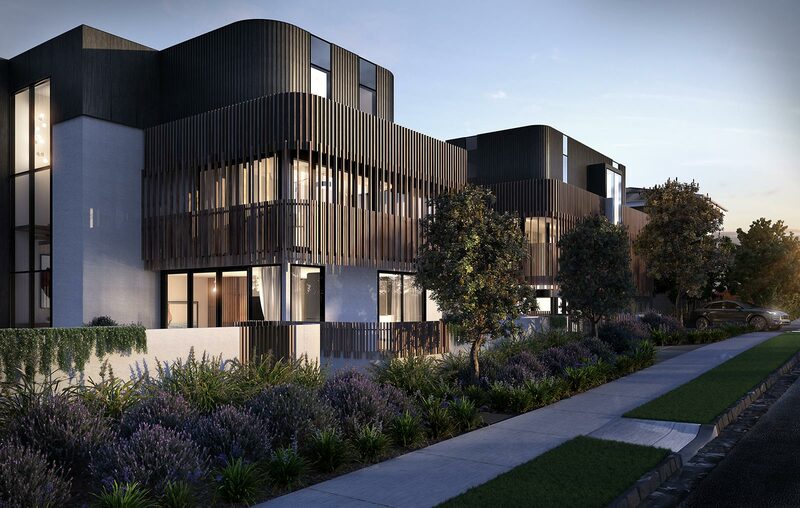 The project’s curved batten feature façade provides a privacy and dappled lighting to each townhouse. 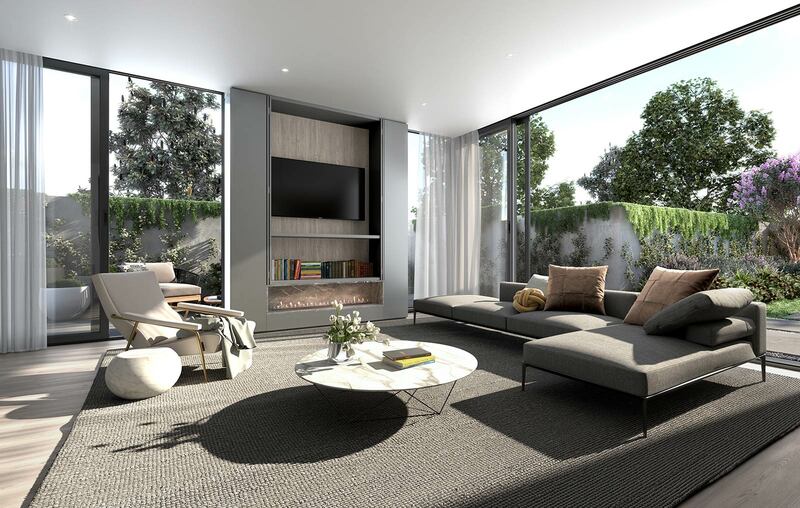 Each townhouse is serviced by a double car basement, ducted air-conditioning, Gaggenau appliances, fire place and a lift to all floors.